For many of us, our pets are a beloved part of the family—like our very own kids. And, as with any family, they come with their own set of concerns. The bond between an animal and its human is a relationship that both parties cherish beyond words. Just as one would treat their human family, we tend to treat our pets the same. Whether it is lavishing them with treats, buying them custom-made animal clothing, pet houses, toys or paying their excessively high medical bills, for us the decision is a no brainer. These lovable, obedient companions dedicate us with their unwavering loyalty, which we, in turn, would want to reciprocate. Numerous companies offer a diverse portfolio of devices to make life easier. 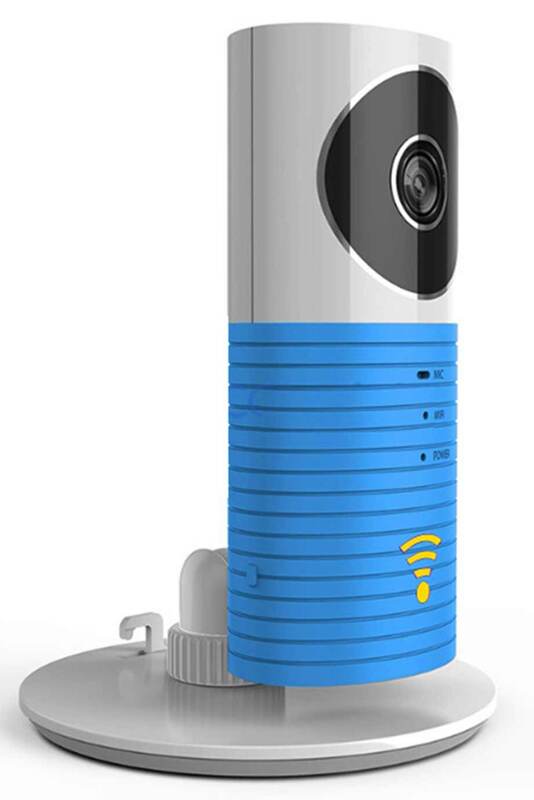 A budget-friendly option would be the TOOGE Pet Camera which offers the same value as other establishments but with fewer economic constraints. It is compatible with almost any device, motion detectors that record only with movement discovery are available, editing function like zooming in or tilting and the option of “safe data.” A good choice for any who value a high level of security, want multiple people to be able to access and view the footage. A splurge-worthy option for those with more extravagant buying tastes would be PetChatz HD, a high end good. A savior for your lonely pet, it comes armed with two-way video chats, treats dispensing, Pet-to-Parent communication, Aromatherapy, and even brain games and DOGTV. 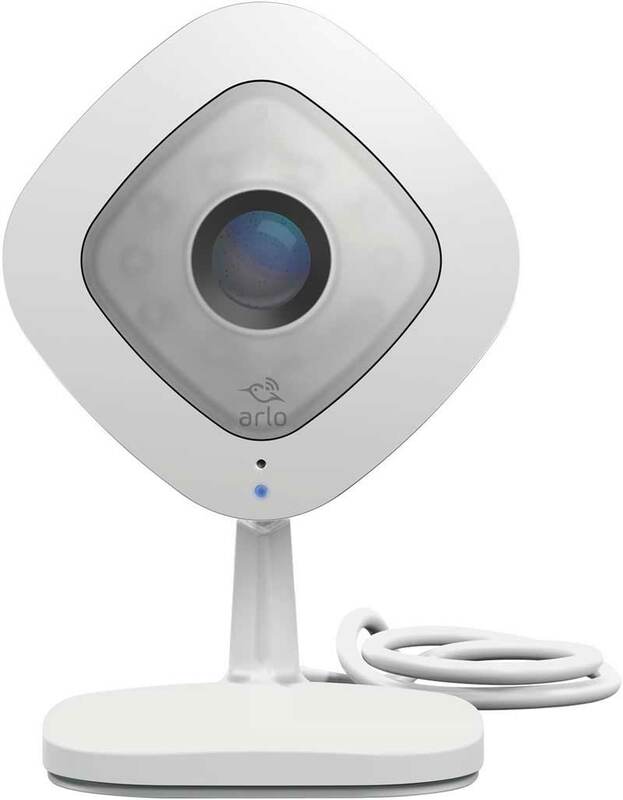 Arlo Technologies Inc came up with their own version of pet servicing. They came up with a wireless model with a hundred and ten-degree vision range. In addition to app notifications, the customer also gets emails as a double safety precaution routine. Their main differentiation strategy is the indoor and outdoor climate resistance facility. They even introduced their high capability levels with contacting emergency responders service linked up with your smartphone to minimize hazardous emergency situations. 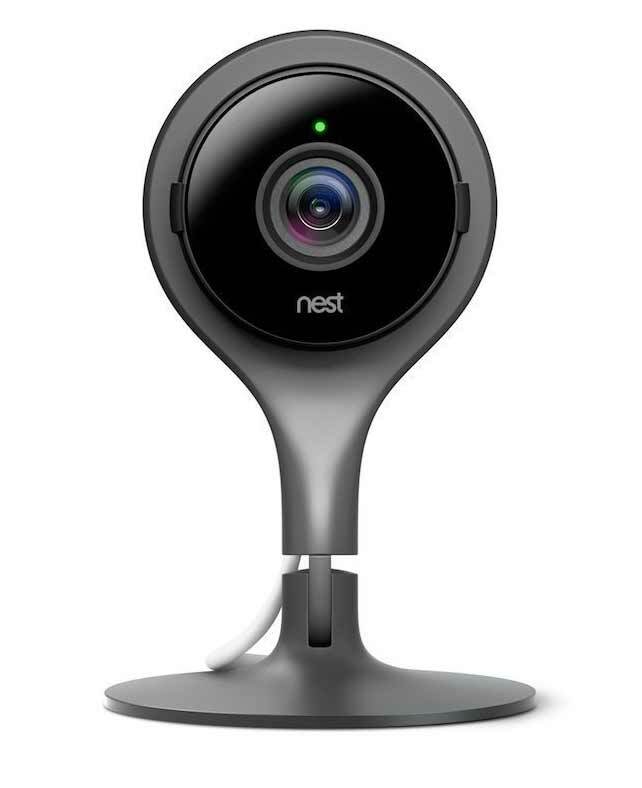 Nest Cam IQ has been designed to cater to pets of all shapes and sizes with its two-way speakers, motion radars, night clarity visualization, and audio alerts. Although very similar to a normal security camera, this particular gadget has a zoom in add-in that allows you to further survey the ins and outs of your home. 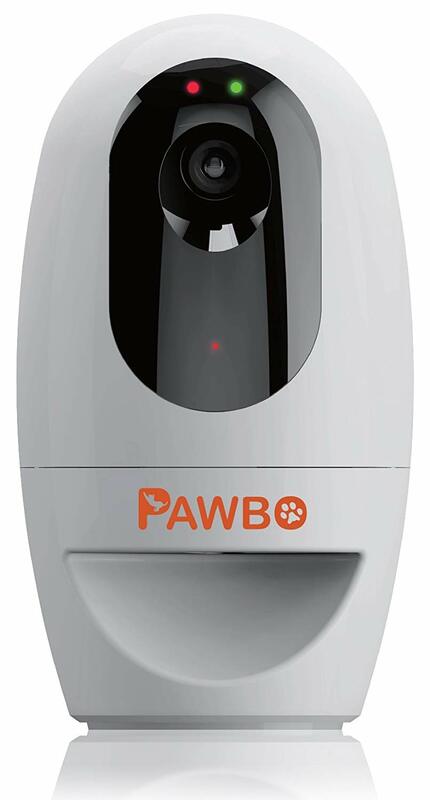 Pawbo comes into the field with a diverse array of services with its Pawbo+. This engaging tool serves up treats for cats, dogs, birds, etc. The major difference between Pawbo and other brands is the way it dispenses food; the food is delivered in a downward motion allowing ease of access. It has a 130-degree vision, ringtone notifications, snap and share, and concurrent users. There are so many add on accessories like adding a pair of ears or toy teasers that have lights that come on gradually in darkness. Clever Dog is another pocket-friendly gizmo to add to your shopping cart. Highly practical and affordable in every sense it has superior night vision, motion sensors, and synergistic exchanges. Insertion of a memory card can assist in archiving memoirs. PetCube is a private technology startup that was established in 2012 when one of the co-founders got a pet dog, Rocky. Beginning its journey at Kickstarter it soon transitioned into an Amazon Launchpad product. 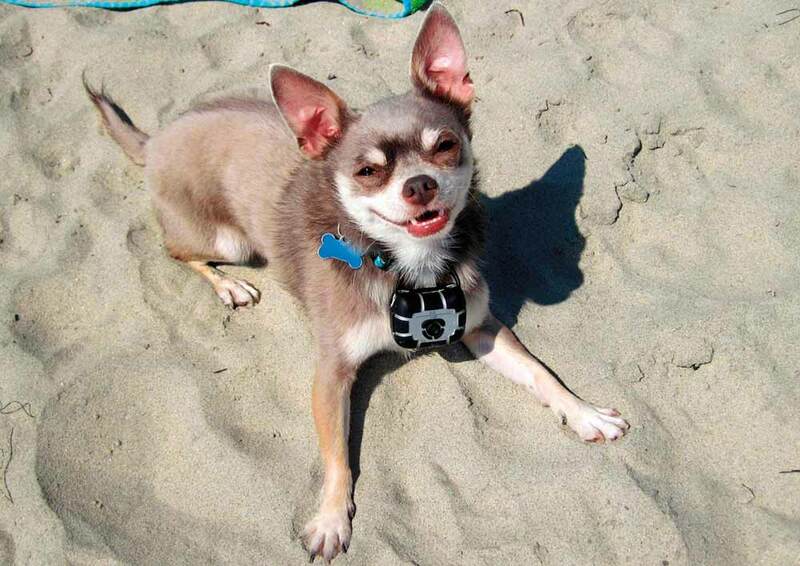 The company designs develop, manufactures, and sells hardware and software products exclusively for pets. With over 5,000 retail locations, their products are available in over 18 countries. What Makes the PetCube Different? Their merchandise is built on the premises of convenience and interactive abilities that was inspired by Rocky. Eliminating separation anxiety for both pets and owners and reducing the possibility of pets disturbing neighbors or the house itself is their goal. In keeping with its hospitable nature, PetCube Care Service comprises of a 30-day trial to reassure its buyers of the company’s transparent and humble practice. They produce cubes of varying sizes with a built-in wide-angle camera through which to view your home and pet. PetCube achieves this via hooking up a bilateral connection between the camera and smartphone application, all with the help of a stable WiFi Internet connection. With their sleek designs, the devices can be set up anywhere in your house without looking out of place. Their monitor system bridges the long-distance relationship with a piece of equipment that lets you have a home security system, a tool to forever capture memories, watch, talk, and play with your pet, all with a few clicks and swipes of your finger. They’ve even refined the process by filtering out external background noise and including a “Do Not Disturb” selection and a Quiet Mode which silences any push updates. The setup process is a stress-free arrangement and even comes with a free 7-day trial. 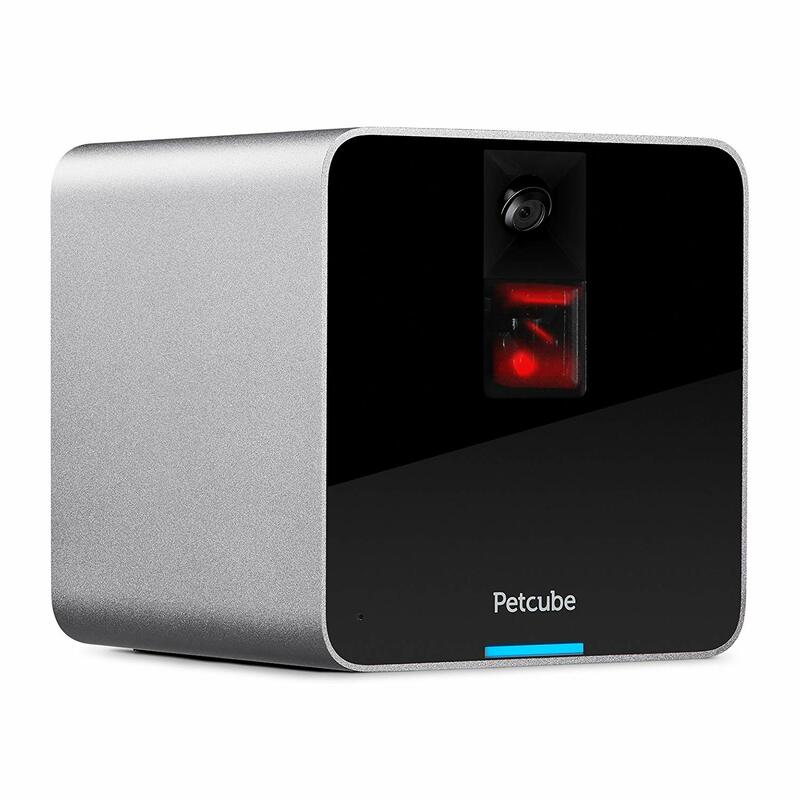 Users sign up for PetCube Care which is a cloud recording video service. It’s where all the information and recordings will be backed up with access to up to ten days of timeline history. The around the clock mode of subscription depends on your choice of log reviews, be it one, three or ten days. Multiple cameras may even be supplemented with Care subscription plans that you can implement into your own social media accounts, such as sharing pictures on Facebook, Instagram, etc. Their products included the first PetCube Camera, released in 2013. This aluminum encased, four by four instrument comes with a wide-angle camera, speakers and microphone, laser pointer and a mobile app that streams 720 HD videos. There’s also PetCube Play (2016), which is an interactive, indoor Wi-Fi pet camera with 1080 high definition imagery linked up with the owner's smartphone. PetCubes Bites is a treat for both the owner and pet as it has all the aforementioned features along with the ability to feed, reward, and conditions your pet. It holds up to 100 treats and even acts like a toy machine by launching the food up to six feet away. So, in a way, it is even an outlet for pet workouts. Finally, they make available The PetCube Play Mount which is a preferentially adjustable mount that helps in manipulating the camera. The PetCube App is what they’re known for seeing as they’ve created a virtual social platform that mimics features of non-animal social media platforms. Through the app, you can interact with other active pet owners while posting about your own experiences, pets, and lifestyle. You can create affiliations with animal shelters or even browse through infinite animal-related videos, pictures, notes, celebrity shares, etc. People like Emma Watson and Natalie Halcro have even classified their products as cool, essential, and life-altering necessities. 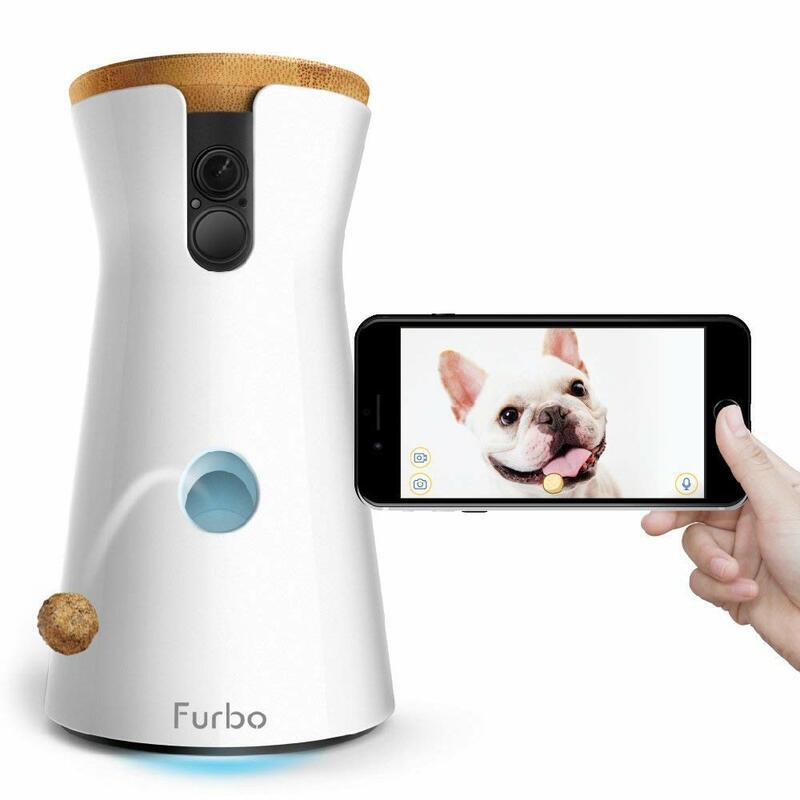 In 2016 Indiegogo was used as a crowdfunding medium that catapulted Furbo interactive Pet Camera into the spotlight. This devoted machine allows for reciprocity between animal and human. A widespread survey made them realize that pet abandonment syndrome was an epidemic that needed to be dealt with swiftly. Furbo Dog Camera materialized as the answer to all our woes and approved by 5,000 vets and professional dog owners. The unique marker for Furbo camera is its uniquely specific design that is fashioned only for dogs. The facility of remote interaction is a form of comfort and training apparatus that caters to canine needs. It is durable, convenient, and, most importantly, doggy-proof, which basically means that its adhesive feet and structural build, will prevent your dog from destroying it in any possible way. 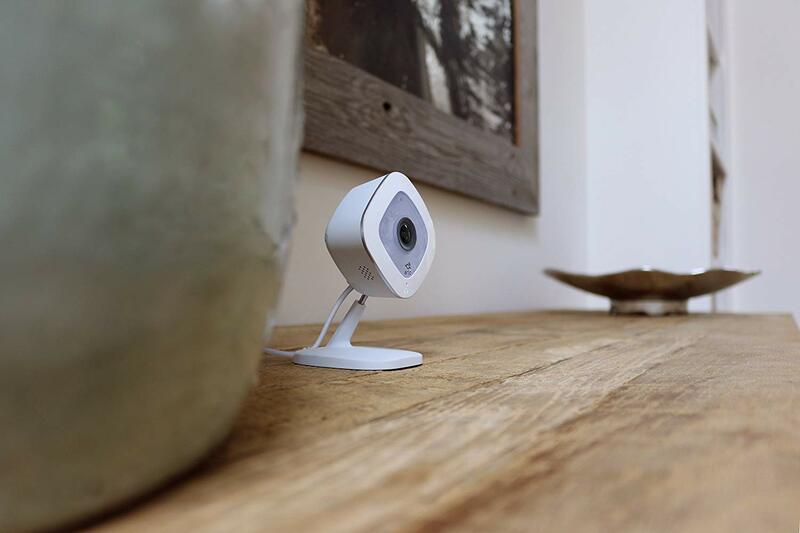 What Makes Furbo Cameras Different? Furbo is an innovative piece of gear at $250 that is formatted with smart technology that senses when a dog is barking and immediately transmits push notification to the guardian’s phone. This barking alert will not be disturbed by externalities because of the filter out, sensitivity modification component. It possessed 1080 high definition visuals, two-way audio, Photo, and Video, Treat Tossing and Barking Alerts. Due to the team put together to invent Furbo, they presented the concept of treat tossing which functions as a robotic version of a dog’s best friend. This reward system incorporates a 100 round shaped treats with a diameter of 0.4 inches. Furbo arranges for its customers to be gifted with a free sample package of treats and goodies. Furbo aptly mimics the bond between man and pooch by incorporating the clicker training technique. Before tossing a treat, Furbo simulates the sound of a clicker. Their reinforcing method has had a very high success rate. Delving even deeper into mammal territory, they incorporated a distinctive lighting system. Owing to the genetic makeup of dogs, they are only able to register blue and yellow lights. Being aware of this attribute, Furbo’s monitoring camera uses light indicators. Once the dog has built a rapport with Furbo, it will soon realize that when its owner is trying to initiate contact via the phone application, the indicator will change from yellow, which is the Sleep Mode to blue, which is the Interactive Mode. Not only are you able to horde memories of your loved ones, but with Furbo Nanny, you can log in Doggie Diary entries, get smart alerts like dog selfies, activities and personal alerts and cloud recordings. The 60-second highlight video is a bundle of happiness delivered right at your fingertips. Even with all of the above, Furbo continues to multitask by studying and categorizing your dog’s behavior with its recognition technology and then notifies you accordingly. Through their full HD cameras and night vision, it is a no-brainer to launch a live stream that you can keep your eye on. The installation is in itself a piece of cake with a three-step guide. All you need to do is plug it Furbo into an electric power outlet using the USB cord, download the Furbo app, and connect to your home Wi-Fi or Bluetooth connection. What Happens When You Leave Your Dog? With these feelings of attachment, comes the feeling of immense guilt when we are walking out the door and see their faces watch us leave. Every day, just as the door closes, we glimpse at our furry friends howling, excessive drooling or scratching, whimpering, latching onto their owners, widening their eyes and staring desolately at our retreating figures. Studies have even shown that us leaving, for our pets is deemed as an act of abandonment. They experience a significant amount of stress, especially for the first 30 minutes or so. This makes us experience distress the entire time we are away as well. These home-alone pets require care (not worry), which is why we search empathetic souls to help us out. Although to many it may seem that leaving your pets to hang out alone is not a big deal, for many it is burdensome to be at work or at a location with a strict no dog policy. Not everyone has the luxury to drop their babies off at daycare which is where advancements in information technology come to our rescue. We will go out of our way to secure the wellbeing of our pets, which is where the pet industry comes into play. Understanding our concerns, they have manufactured a multitude of ways to calm our apprehensions and grant us some peace of mind. Pet cams have increasingly become popular with pet owners. Not only are they meant to allow us to record all the entertaining antics our pets get up to, but they also have numerous add-on features that offer increased value. Despite how well trained a pet may be, they are at the end of the day lacking the superior civilities that we as human beings possess. As unpredictable as their behavior may be, part of pet-proofing a home means the setting up of a pet cam to monitor the trouble they cook up. They may urinate in places where they are forbidden in the absence of a supervising authority, chew or break furniture, bully other pets in the house and so on. With an interactive camera, you can catch them in the act and even reprehend them. The video evidence can alert us to health and behavioral issues that might emerge while we aren’t present. Animals cannot communicate with us through verbal speech, but their actions speak louder than words. The only problem is that with everyday work, school, and life routines, it isn’t uncommon to overlook signs of problems being displayed by our pets. As such, they can go undetected for long periods of time suffering some ailment or the other and eventually end up in a phase of sickness that could’ve easily been avoided had it been caught before. How Does the Doggy Camera Work? With motion, sound, and body heat detection features pet keepers are more likely to avoid mishaps. In times of crisis, your animal can sense the danger that you cannot detect through normal cameras, which is where these specialized dog cameras come into play. Using AI-powered Dog Recognition Technology it can alert us to our dogs panicking in chaotic events like a fire in the house or if there’s an intruder in the house. Even in small occurrences, owners can avoid problems like pets sneaking into the treat cupboard or trailing mud into the house. 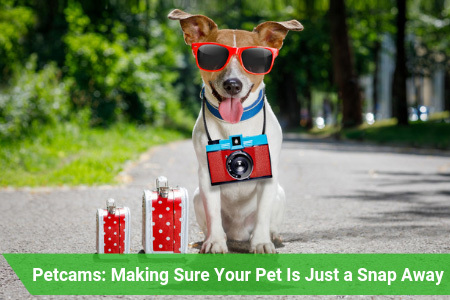 A pet cam is what helps us notice a change in mannerisms that can potentially save the lives of our pets—and reduce the need to visit the veterinarian’s office. Some pets, like domestic dogs, cats, and birds will make a special effort to even hide their sickness. A pet cam allows you to see if your pet’s appetite has changed if they are acting lethargic or slow, if they are hiding instead of playing around the house or if they are throwing up and covering up their sickness. No time is a bad time to observe with cameras that possess nighttime vision. Now, just like a social being, our pets require interaction. In reality, whereas children can busy themselves, our pets’ universe revolves around us. Therefore, it falls into our lap to make sure they are kept generally stimulated. Apart from observing them, pet cameras nowadays allow you to even interact with your pets via two-way audio communication options where you can speak through the camera and converse with your pet in real time, while simultaneously hearing them. Not only is this a soothing and reassuring mechanism for pets, but a way for caretakers to talk to their beloved companion when in need of blowing off steam or in need of a private heart-to-heart chat. This audio connection means that you can deliver commands and prompts to condition them as well. This virtual interaction results in mutually beneficial outcomes. Further engaging applications even have built-in laser pointers so you can play with your pet. Some come with pet treat delivery options (i.e. attached to the camera in the form of a treat dispenser). The craze of taking selfies with your pet can be accommodated with pet cams snapping your pet without you even needing to physically be there to take the picture. It’s like being in the comfort of your home 24/7, while not missing out on life in the real world. This is an especially good investment for people just starting out as pet owners, especially when in an apartment. Younger animals go through periods where they are incredibly impressionable, clingy, dependent, and in need of guidance. It can be overwhelming to take on a living creature that comes attached with expectations and responsibilities. But, even more important, are older pets as they require just as much—if not more—supervision than puppies or kittens. What Do The Best Dog Cameras Offer? Just like you would with any purchasing decision, there are several factors to consider when procuring an asset of this sort. Evaluate your home for a possible location to fit the desired camera based on the best WiFi connecting region, the best place to get maximum viewing, if you have children then somewhere where they will not be tempted to mess around with it. Lagging visual and audio feeds will be your top concern, which is why it is best to choose an unobstructed and uncluttered area. Outdoor vs. Indoor location decisions are quite different and the former will respectively require sturdier or more resilient cameras with added climate proof conditions. Once an appropriate location has been chosen you then need to consider what your pet will find the least threatening but still easily accessible. The main purpose of these cameras is the attachment building aspect which means that your pets have to get up close and personal at times to reap the maximum benefits. Lastly, consider the type of pet camera you want to get. To begin with, look at the image quality associated with each brand and its models. Clarity in videos, pictures and live feed with regards to coloration, image fluidity and tone are key elements to gain the satisfaction of any sort. Night vision mode and non-stop surveillance are both a must have to jot down on your checklist. The range coverage of your camera matters. Look for cameras that have a high sensitivity to any movement and are able to do so from quite a distance. The camera must be flexible in order to succeed at its job (i.e. zoom in and out, pan around, split images and can concentrate on sharpening images). Even though you might consider buying a home security camera, you will find that pet camera and treat dispensing cameras are more favorable for animal occupants because they come bearing a pet-focus in mind. 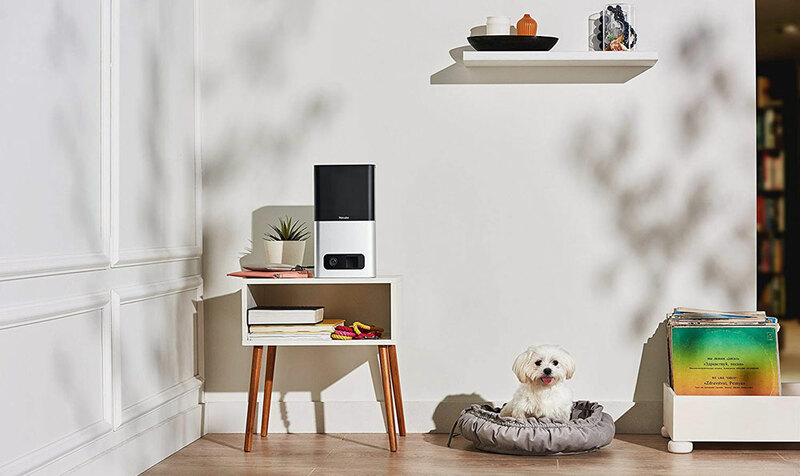 Their designs are targeted towards animals, not humans and with their smart installations can improve your pet’s standard of living quite drastically. In contrast, all that home security cameras offer are the facility of sight which is neither helpful nor functional for a pet owner as it in no way relieves the stress of lonesome pets. 1.0.2 What Makes the PetCube Different? 1.0.4 What Makes Furbo Cameras Different? 1.1 What Happens When You Leave Your Dog? 1.2 How Does the Doggy Camera Work? 1.3 What Do The Best Dog Cameras Offer?